I have in NO way changed any of the data, nor have I tried to filter duplicate servers. This is a raw dump from the database with some grouping/sort and other functions. 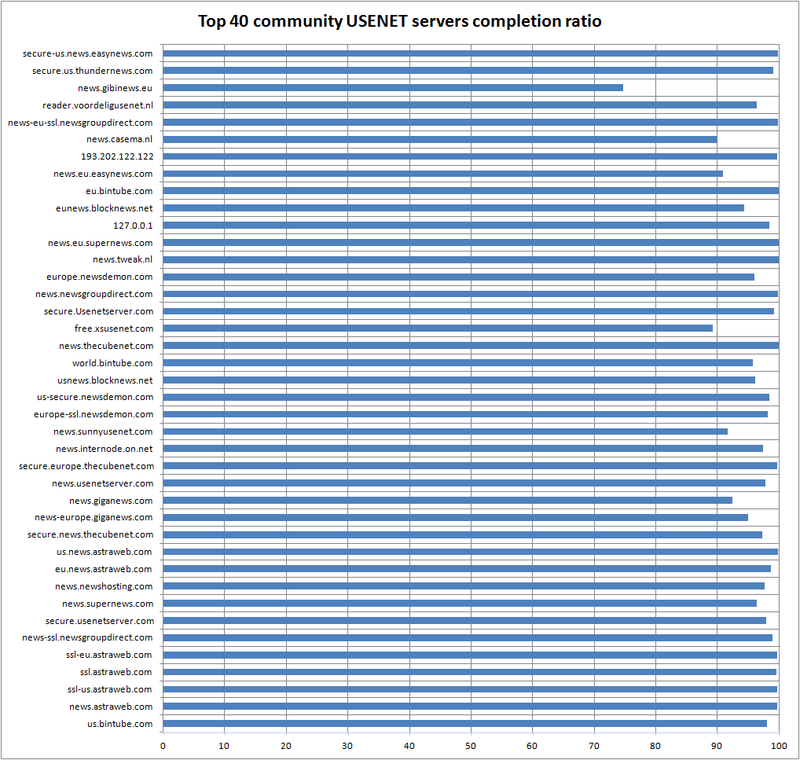 This image shows the top 40 most used servers – checked with NZBcc. From top 40+ and up, the numbers even out so I choose to ignore them. 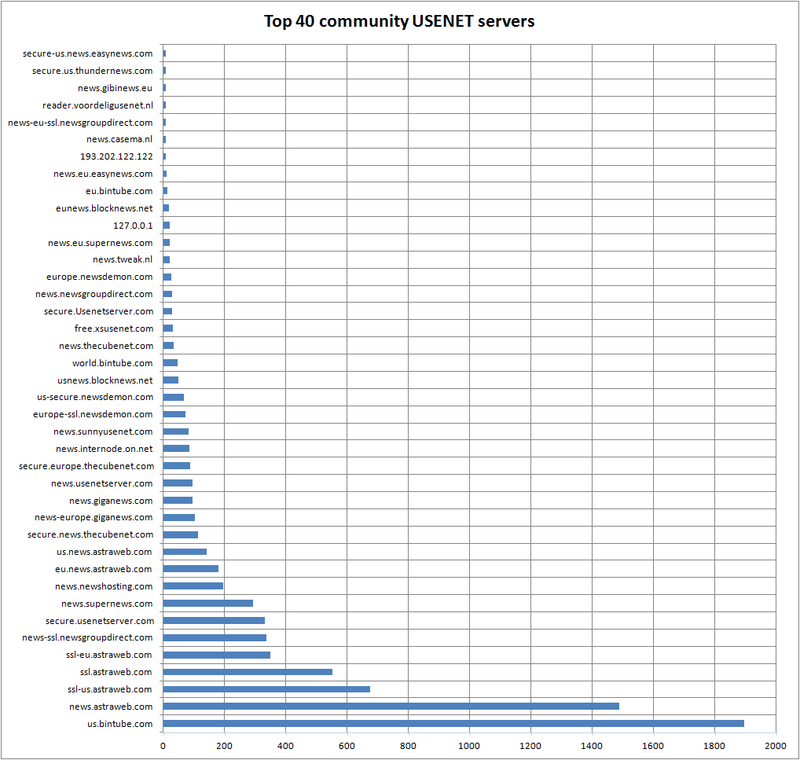 Now this might not show the true image of the most popular USENET server in the world – it just shows which usenet server was most popular in the community effort. This images shows the same servers as before except is shows the completion ratio of all the files that were tested against each server. As before, this statistics does not show in general how the completion ratio is on every server listed. It could be, that a lot of old files were tested against these servers, giving the impression that they have low file retention. That data is not available to me. This entry was posted on Friday, August 31st, 2012 at 12:29and is filed under . You can follow any responses to this entry through the RSS 2.0 feed. You can leave a response, or trackback from your own site.